Hope Rises as it presides amidst the mountains, trees and sunshine. In my encounters with patients, my walks in nature, pillow talk with my husband, I speak of hope. What does it look like? How do we offer it to others? Is it in the shapes of landscape or the colors of the spectrum? For me, it's often inspired when in nature. 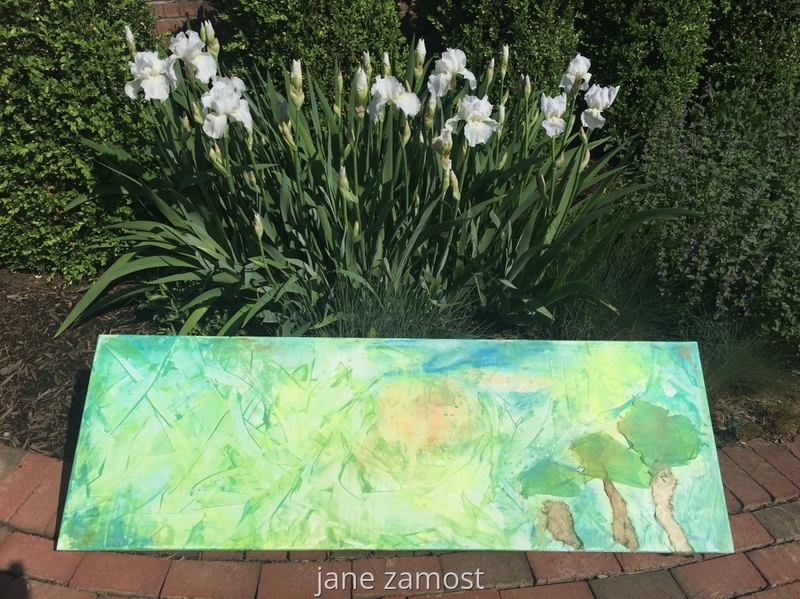 In this piece, I utilized collage and paint and my new favorite, oil sticks, offering me a medium that can be worked with swift motions while transmitting an effect similar to watercolor. This piece elicits a transparent look -- like the sunshine I experienced in its creation. digital reproductions available starting at $125, based on size.